Need we a reason to include funny pictures of our critters? In the summer of 2009, John and Robyn's granddaughter Hannah came to visit with her mom. Hannah is a bundle of energy and as Rebecca says, radiates cuteness. 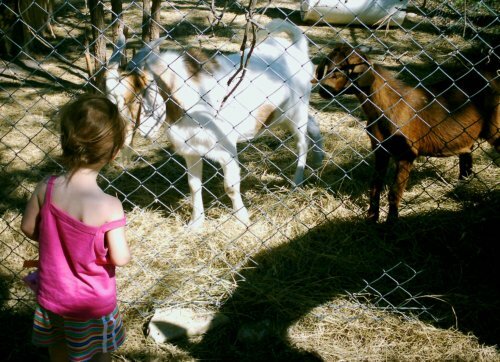 She wanted nothing more then to be down at the barn with the animals or helping Robyn in the garden. Above: Ghost decides to inspect Hannah to see if she has any munchies. 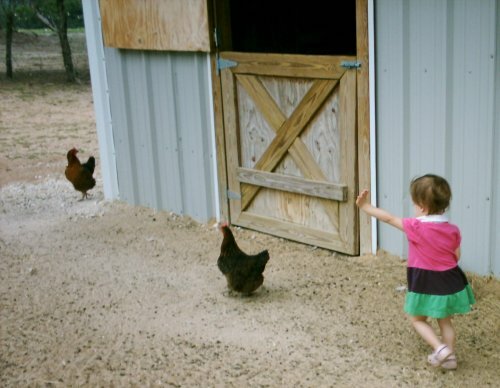 Top Right: Hannah chases a Black Hen while another Black hen rounds the corner and is terrified to see the tall pink-clad creature hurtling towards her. Bottom Right: Cyrano and Impala, the wether charged to keep Cyrano company, inspect Hannah on the other side of their enclosure. 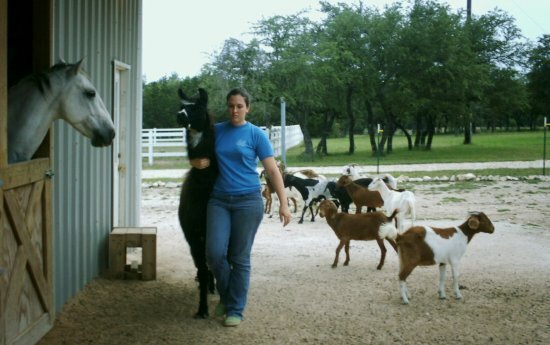 This is a picture of Rebecca walking Sparky to his stall, because sometimes the llama is ornery and doesn't want to go to the right place. Ghost always goes to his stall, as you can see. 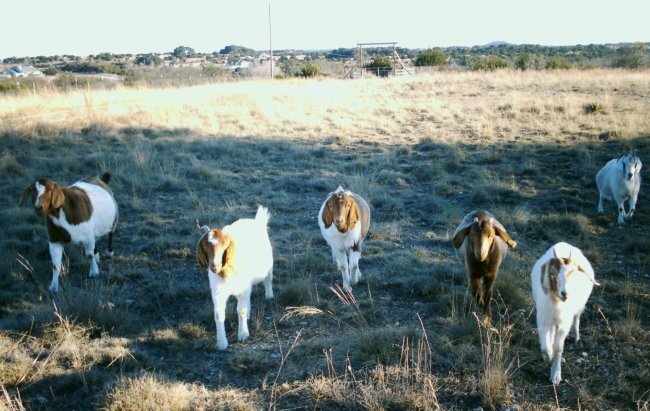 Here are several of the goats in the winter pasture. From left to right: Saddles, Baby Doll, Silverthorn, Mahogany, Ruth, and Nubian.